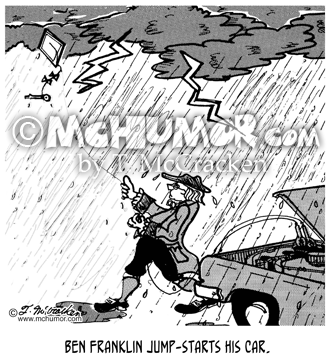 History Cartoon 2077: "Ben Franklin jump-starts his car." Out in a lightning storm Franklin flies his kite and has it hooked to jumper cables in his car. 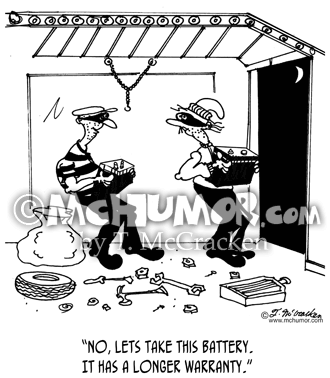 Battery Cartoon 7254: A thief in a garage saying to another, "No, lets take this battery. It has a longer warranty." 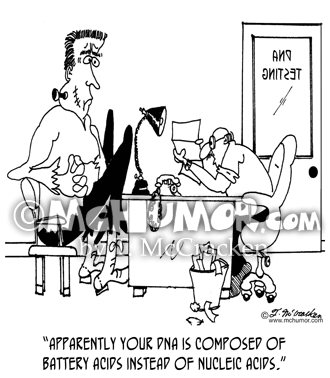 Biology Cartoon 7252: A doctor saying to Frankenstein's monster, "Apparently your DNA is composed of battery acids instead of nucleic acids." 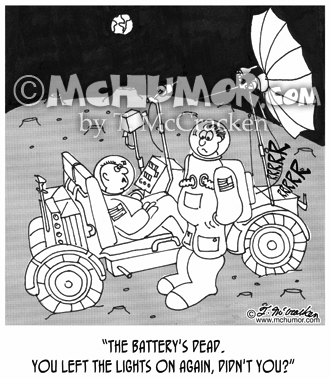 Space Cartoon 3048: An astronaut on Moon in Lunar Rover says to another, “The battery's dead. You left the lights on again, didn't you?" Battery Cartoon 7253: "Where Are They Now." 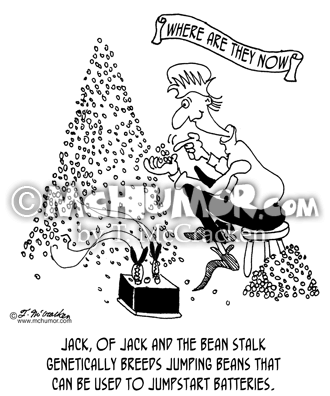 "Jack, of Jack and the Bean Stalk genetically breeds jumping beans that can be used to jumpstart batteries." 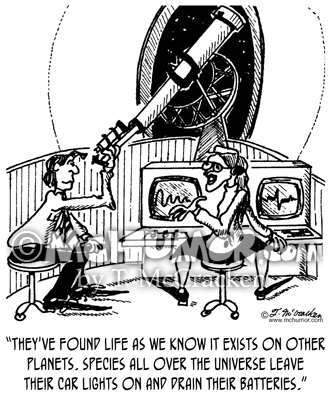 Battery Cartoon 7249: An astronomer looking through a telescope and saying, "They've found life as we know it exists on other planets. 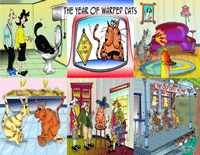 Species all over the universe leave their car lights on and drain their batteries." 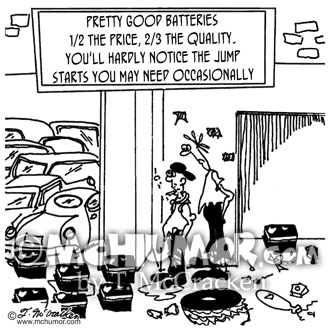 Battery Cartoon 7250: Incredibly Inexpensive Mechanics advertising, "Pretty Good Batteries, 1/2 the price, 2/3 the quality. 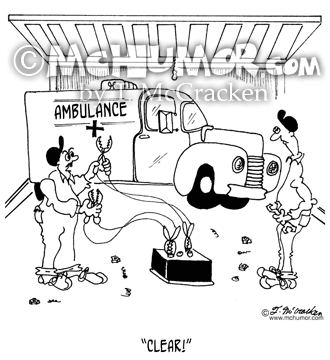 You'll hardly notice the jump starts you may need occasionally." 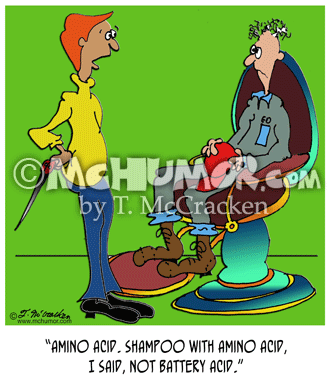 Beauty Cartoon 7761: A stylist saying to a man with wild hair, "Amino acid. Shampoo with amino acid, I said, not battery acid." 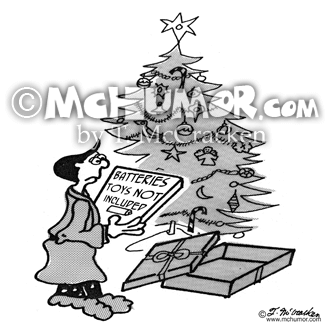 Toy Cartoon 2294: A kid opens a Christmas present that's, "Batteries, Toys not included."